Your team was absolutely amazing! Our event went off without a hitch and everyone loved it. I’m so grateful to the performers for coming out and helping to make it such a great success. OMG! Fantastic! Those guys are amazing at getting everyone to participate. People are still talking about it. Thank you so much for making our party such a success! Please let the guys know. Greetings! Everything went so great! The performers were amazing and the show was just so fun!! We’ve been trying to figure out how to keep people sticking around during events, and the entertainment certainly made that happen. Thanks again for everything and let the players know, they were completely wonderful and fun!!! Perfect night on Friday. Perfect people. Loved it. Many great comments! Should book again for next year!!! Awesome. Thank you so much. Fun Pianos dueling pianos has done a few shows in Wausau WI over the years, but this time the CENTRAL WISCONSIN BOARD OF REALTORS had us in for a private event with their guests at the beautiful Jefferson Street Inn. Thank you so much for including us in your fun! This was the first time booking a dueling piano show for our corporate party and Fun Pianos made the booking a breeze. They worked directly with our venue to instruct them on setup and took care of all the details. The players did a phenomenal job getting the audience into the show and created a very memorable night for all that attended. Thank you for a great night! The Fun pianos dueling pianos show returns AGAIN to the Waters of Minocqua in Minocqua WI on Saturday November 11, 2017! We are proud and honored to be a part of this annual tradition! We’re happy to have booked Fri 12/1/17 with MAC Dental Center in DePere WI. Dueling Pianos from Fun Pianos can’t wait to bring the fun to a great Dental Office! Minocqua WI: dueling pianos by Fun Pianos returns! 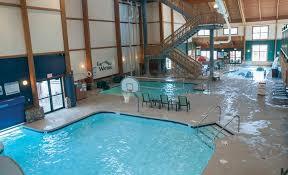 We’re happy to say that we just booked AGAIN with The Waters of Minocqua! Dueling Pianos by Fun Pianos will return on Sat 11/11/17! 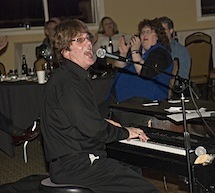 Looking forward to bringing the dueling pianos FUN back to Minocqua! The show went great, the guys were wonderful. They engaged w/the kids very well. Thank you so much! We look forward to working with you again in the future! The show was awesome! Everyone had a great time and I thought the interaction they had with the group was perfect. We have hired about 4 other dueling piano shows throughout the Midwest for other events we have hosted and this one was definitely the best. It went Great! Even with the competition of the World Series going on, our guests enjoyed the talented dueling pianos. They did a fantastic job. We ended up with about 120 people, and they worked their butts off to make it as high energy, interactive and fun as possible. Thank you to you and to them as well. The show was WONDERFUL!! Everyone had a blast and I loved how interactive it was. Our employees are still raving about it. 176 keys fun pianos played at our recent event of about 250. They were very professional, on time, courteous, and did a great job reading and involving our guests. I was amazed at how they got even the most serious folks to loosen up for a couple of hours and have a great time. I could not have been more pleased in the way the players handled our event and would HIGHLY recommend them to anyone in need of corporate entertainment. We have had bands, magicians, hypnotists, ventriloquists, mentalists, you name it but this was by far the best according to our guests. We had a FABULOUS time on Saturday night, the players were absolutely fantastic and made the night so enjoyable! In large group settings it’s sometimes hard to have entertainment that everyone truly enjoys and has fun with, and of course you’re going to have a few that would’ve preferred something a little more low-key or so – but I tell you what, the majority of our group fell in love with Fun Pianos Dueling Pianos! The guys made it so fun, got the audience involved, we had a ton of laughs at and with our co-workers, it was great. THEY WERE AMAZING!!! I told my husband we need to think of another reason for a party to have you back!! Thank you again! 176 Keys is fantastic! The crowd loves them and they represented our organization fundraiser well. We have had 176 Keys entertain at our fundraiser two (2) years in a row and we will definitely be looking to book them for year three (3). Thank you 176 Keys for providing a fantastic evening of entertainment, laughs and fun! This was the second 176 Keys event my husband and I attended. We had SUCH a blast at both events! The piano players are very good at kicking off a fun filled evening, and keeping the energy level high all night. We are always sad when the night comes to an end! The night was a great success! Thank you to the players for getting the employees involved and engaged! I have only heard great things about Saturday night and how much fun it was for everyone! Thank you to all! Thank you so very much for the performers that you sent Saturday night. The two guys were AMAZING! In front of a difficult group, they pulled off a miracle. The entire crowd was engaged and HAPPY! It was truly an awe inspiring feat. Please give them our congratulations and appreciation for a job well done. We will make sure to refer you to any group that is looking for TERRIFIC event entertainment. Oh my God. It was amazing. Just wanted to touch base quickly and tell you that 100% of our guests (225 of them to be exact) said it was the BEST wedding they’ve ever been too. Yesterday, Oct 13th 2012, our son was married in LaCrosse WI. When he told us a month ago that the entertainment was dueling pianos we were curious as we had never heard of such a thing. Well, you need to know that the players did an excellent performance!! This is something we will tell all our co-workers about and have nothing but praise for this entertainment. Keep up the great work.Thanks for all your guys’ hard work! The party Saturday was great, even with the snowy weather. I have received a couple compliments already on people having a wonderful time. You guys were great and very easy to work with, you basically took care of everything for me and that is much appreciated because I spent a lot of time getting everything else together that was needed for the night. Our event called for something different than the typical convention entertainment and 176 keys Dueling Pianos was an obvious choice. They were very attentive to our needs and requests before and during the event. The feedback was positive and I’d recommend them for anybody wanting something that has more crowd engagement than a DJ or band. I am doing great… thanks again for a wonderful show. Everyone had a great time – had a lot of compliments the next day!!!! !